S T A G E I During the past 40 years, the United States has experienced the integration of the computer into society. Progress has been made to the point that small, inexpensive computers with expanded capabilities are available for innumerable uses. Many schools have purchased and are purchasing microcomputers for infusion into their directed learning programs. STAGE III S T A G E II Most individuals seem to agree that the microcomputer will continue to hold an important role in education. Gubser /1980/ and Hinton /1980/ suggested phenomenal increases in the numbers of computers both in the school and the home in the near future. Schmidt /1982/ identified three types of microcomputer use in classrooms: the object of a course, a support tool, and a means of providing instruction. Foster and Kleene /1982/ cite for uses of microcomputers in vocational agriculture: drill and practice, tutorial, simulation and problem solving. The findings of studies examining the use of various forms of computer-assisted instruction /CAI/ have been mixed. Studies by Hickey /1968/ and Honeycutt /1974/ indicated superior results with CAI while studies by Ellis /1978/, Caldwell /1980/ and Belzer /1976/ indicated little or no significant effect. Although much work has been done to date, more studies need to be conducted to ascertain the effects of microcomputer-assisted instruction in teaching various subjects in a variety of learning situations. S T A G E IV The purpose of this study was to ascertain the effect of using microcomputer-assisted instruction as compared to a lecture-discussion technique in teaching principles and methods of cost recovery and investment credit on agricultural assets to graduate students in agricultural education. STAGE V This topic was identified as being of importance to teachers in providing them the necessary background to teach lessons in farm records. 1. What is the purpose of each of the five stages in this introduction? 2. Do you think this order of information could be used for writing introductions in other fields, or is it valid only for education? 3. Which stage is the longest? Can you see any reason for this? The preceding example is typical of introductions to experimental research reports in many different fields in terms of the kinds of information and the order in which this information is sequenced. Study once again the ordering of the information in the Introduction presented in Figure 1. 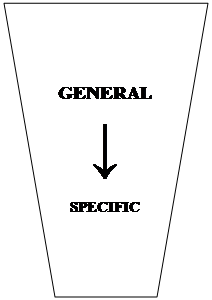 Figure 1.Ordering of the information in the ‘Introduction’.